Is NEAC 2.0 to endorse "jual negara", including TH's asset? Much publicity, coverage and hope was given to the National Economic Action Council 2.0, but a month later, nothing happenned. It was to be action oriented and none of the talk, study, overseas tour, analyse, seminar, and back and forth anymore. They are supposed to know the problems already. CEP wrapped up their work months ago with a report that was to be revealed to public but kept confidential. Apparently, the problem with delay is its membership. It was kept within a limited circle of trust. 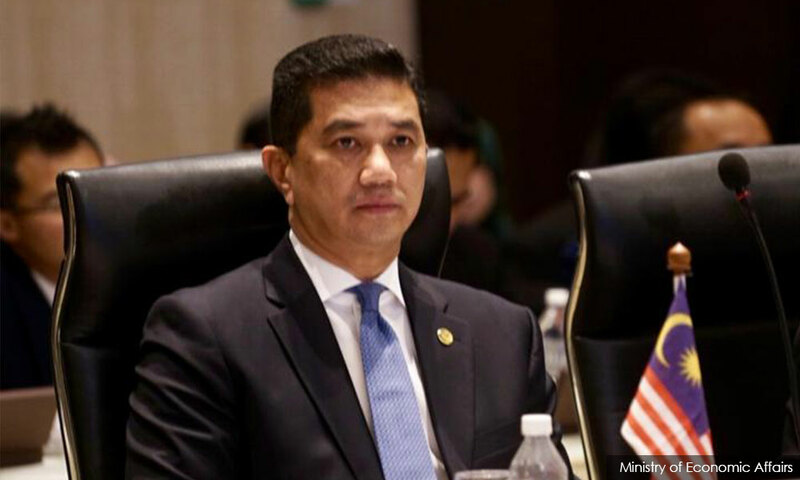 Azmin Ali's suggested 5 were rejected by an economist that seemed to call all the shot. NEAC 2.0 members' interest and stake in the economy is only to safeguard their position and gaji (salary). In the meanwhile, a family in Gopeng, Perak could not afford rice and living on dumpling from the remain of flour in stock. If not noticed by neighbour, the children were heading for starvation. And, GLC assets are being liquidated at will without consideration for the financial impact. The Malay described turning the table as "memulangkan paku buah keras". To return the nailed nut, is the plan of CEP and to be endorsed by NEAC 2.0 to put the country up for sale? 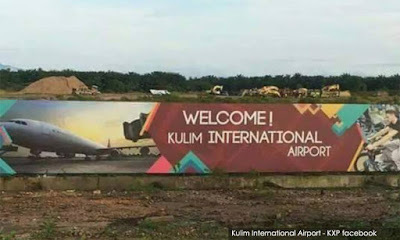 Late last year, it was reported by NST December 13th, 2018 that Kedah Menteri Besar, Dato Paduka Mukhriz Tun Dr Mahathir announced the RM1.6 billion Kulim airport project will go ahead. It will not be just word and will resume. In revisiting the project, Mukhriz claimed the site identified, two feasibility studies presumably done and claimed to be positive, and role will be as air cargo hub, initially. Presumably, its close proximity to Penang and Kulim so-called high tech park makes it suitable for importers and exporter. Blah blah blah ... strategic location and keen interest by several international investors. Interesting but first thing that came to mind when Mukhriz announced, it was him needing Kulim to show that as twice MB, he did something for the state. 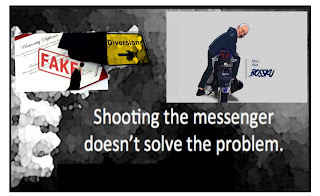 On his first attempt, he blamed it on PM Dato Najib for not providing the fund. So the need for a second attempt, as talk in Kedah is Mukhriz's second time around is worse than his first time. His couldn't-care-less attitude remained and gotten worse since his father returned as PM. The night before presenting Kedah state budget he was still seen hanging around with friends at BSC, Kuala Lumpur. The PPBM supporters and groupies can be defensive, but what do they know? 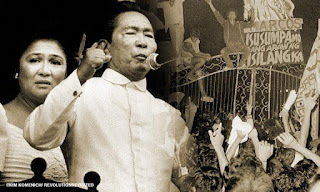 Today, February 25th is the day 33 years ago that Phillipines President Ferdinand Marcos was overthrown by peoples' revolution after he reinstate himself as President after presidential election amrred with widespread fraud in 1986. Today's CNN report recounted the last conversation between US Republican lawmaker, Senator Paul Laxalt and Marcos. By 5:00 a.m. (Philippine time), Laxalt was again on the phone talking to Marcos, who bluntly asked him if Reagan, whom he regarded as a friend, had changed his mind concerning his treatment of his government. The exchanges, which were recorded by scholars, were curt but poignant because they showed the pathetic state of a falling dictator. "Is President Reagan asking me to step down?" Marcos asked Laxalt. "President Reagan is not in a position to make that kind of demand," Laxalt replied. 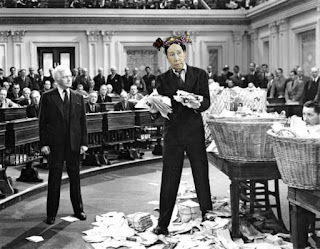 "Mr. President, I’m not bound by diplomatic restraint. I am only talking for myself. I think you should cut. And cut cleanly. The time has come,” Laxalt said, with a combined air of authority and compassion. Marcos did not speak for nearly two minutes, alerting Laxalt. "Mr. President, are you still there?" "I am very, very disappointed," Marcos said. By this time, his feeling of an impending loss gave way to a firmer knowledge that he would have to leave Malacañan sooner or later in a disgraceful exit. There is a book out written by the Irwin Ver, the son of General Fabian Ver that is recounting the day the Marcos had to leave Malacanang Palace after 20 years living there as President. Anwar: Prime Minister Tun Dr Mahathir Mohamad is already 93 years old, does he want more money? Dato Seri Anwar Ibrahim came to Semenyih for the by-election campaign yesterday, Saturday February 23rd. It is the 8th day of campaign which will end on midnight March 1st. 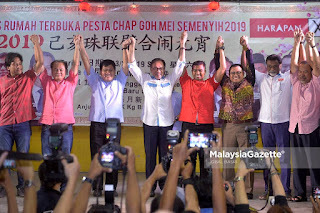 His presence at two Chinese areas will certainly be a booster in terms of presence for the PH campaign and to get Chinese voters to remain supportive of PPBM as their assemblymen. It helps dispel the rumours and send a message that all fine within the PH fold. PPBM wants Mahathir to stay beyond the "gentlemen agreement" of 2 years but the full 5 year term. In the meanwhile, their campaigner could claim Anwar is still with PPBM and deny rumour he will initiate a vote of no confidence against Mahathir. "See .. See .. Anwar campaigned for PPBM Aiman". At the GE 14 in May last year, the late Mohd Bakhtiar Mohd Nor won the Semenyih state assembly seat by a majority of 8,954 votes to beat the incumbent from UMNO, Datuk Johan Abdul Aziz. With that wide a majority, PPBM candidate and son-in-law of Bakhtiar, Muhammad Aiman Bin Zainali not only cannot lose, but the margin in victory is equally important. Johan received 14,464 votes, which decreased from 17,616 votes for GE13 in 2013 but increase from 11,588 votes for GE12 in 2008. However, it was not enough to stop the anti-Najib wave that gave Bakhtiar 23,428 votes to win the seat. The number of voters for Semenyih increased from 28,203 votes for GE12 to 53,257 votes for GE14. Still pretty much a Malay majority area with 25 to 30% Chinese. If the votes received by UMNO and PAS at GE 14 were added together and PPBM maintained the same performance, the young PPBM candidate should win by a majority of 1,998 votes. More so there is a high percentage of new and young voters. This was the reason Lim Guan Eng was forced albeit reluctantly to announce BR1M, or rebranded as BSH, for unmarried youth. Any less in majority or loss at Semenyih spells disaster for PPBM. 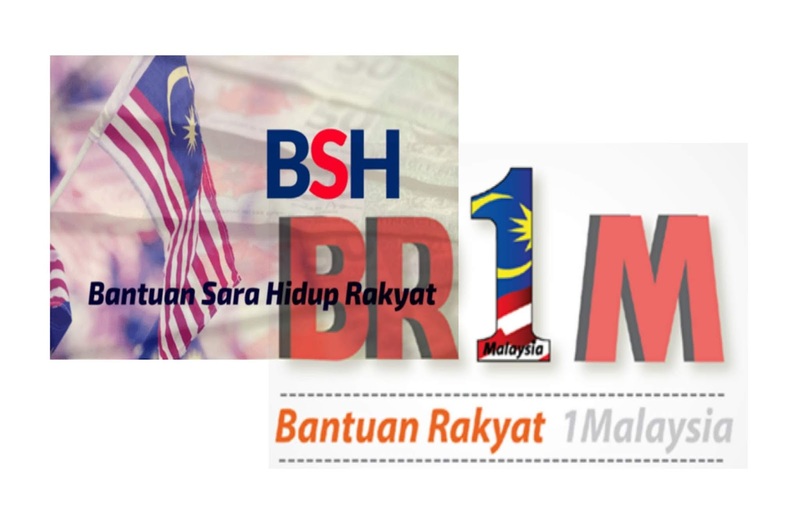 Few days ago, it was heard from sources involved in PPBM campaign that Tan Sri Muhyiddin Yassin is not happy with the BR1M announced by Lim Guan Eng for unmarried youth. Oppss... 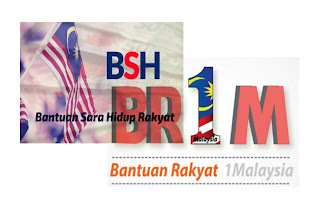 Sorry, its rebranded as Bantuan Sara Hidup to justify their promise to abolish BR1M and cleanse it of the element of bribery. Preesumably, the new form but same substance is Halal and no more smeared by political populism. Muhyiddin said they will appeal to Minister of Finance to increase the amount. It only indicate the announcement does not help their campaign. 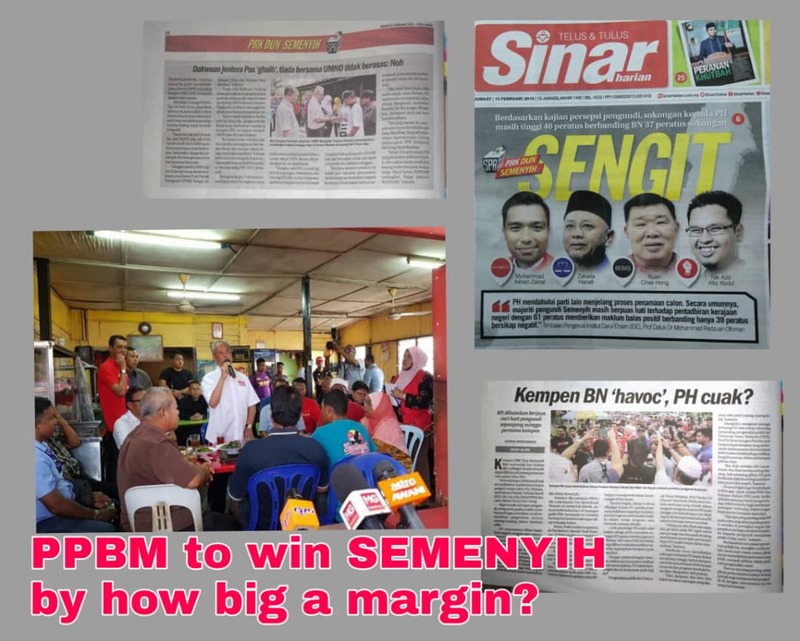 This is important for PPBM campaign to attract young voters in Semenyih. If so, PPBM's Minister of Education should announce abolishing PTPTN as promised in PH's GE14 Manifesto. 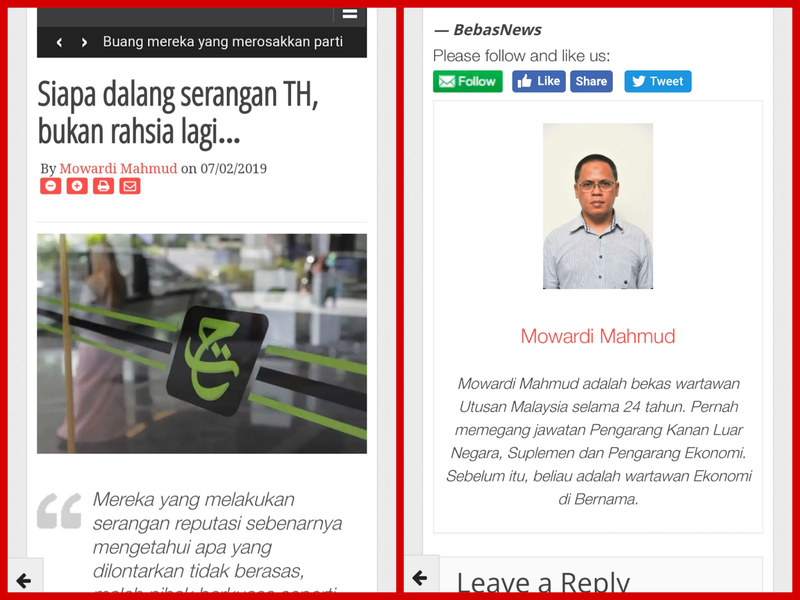 It is most welcoming that BEBASnews.my finally state their position on Tabung Haji (TH) with this piece entitled "Tiba masanya kita tahu hakikat Tabung Haji" (It's time we know the truth of Tabung Haji). 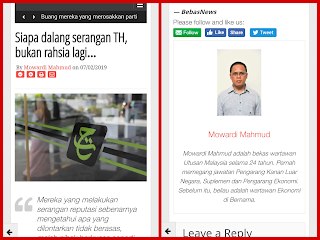 It is written by an unknown Admin and not as melancholic as their earlier piece and also another one to stop politicising, "Cukup-cukuplak jadikan TH bahan politik", both by 24-year economic writer Mowardi Mahmud. 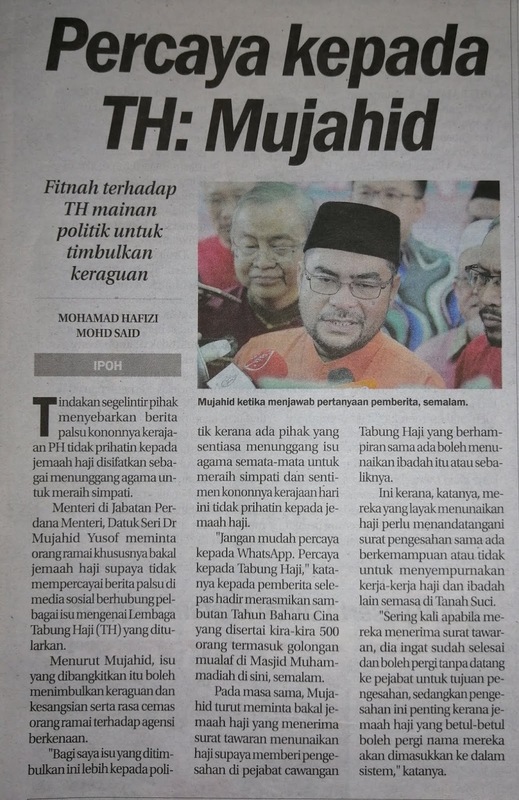 Is Mujahid the politician arguing like Mowardi, the economic writer or Mowardi arguing like Mujahid? Though agreeable and it's the intention to be specific and technical, Mowardi's argument to seek for evidence is inconsistent. 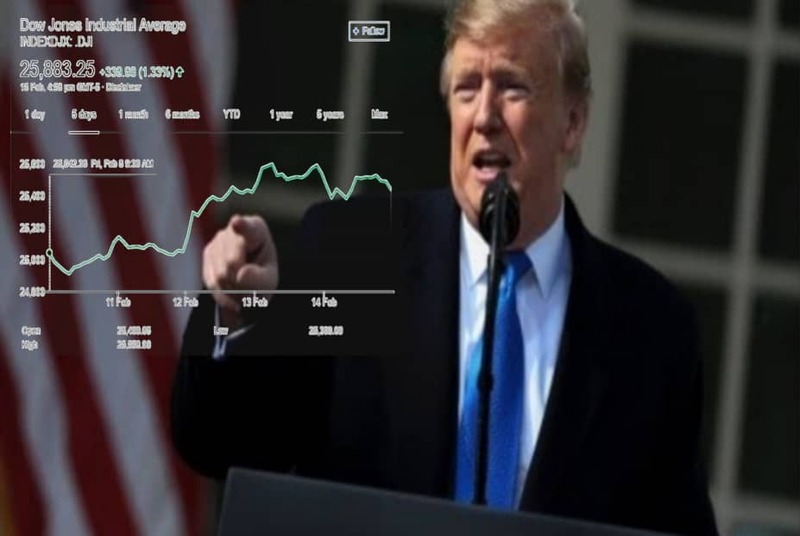 Dow Jones Industrial Index closed 340 points up on Friday. It is up for the week from last Friday's 25,042 points Monday to close the week at 25,883 points. 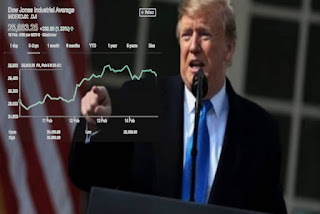 Investor's Business Daily attributed the rise due to optimism over US-China Trade talk, but Market Watch brief reported described "negotiators remained deadlocked over key issues" to end the talk in Beijing. It will resume next week in Washington. Such significant rise could not have been triggered by economics or business events, as economist and analyst keep a close watch and constantly update their analysis and forecast with new announced data. Strong version of market efficient would have built-in the market prices with any probable events to come. "U.S. political tensions were swinging back into focus for investors. 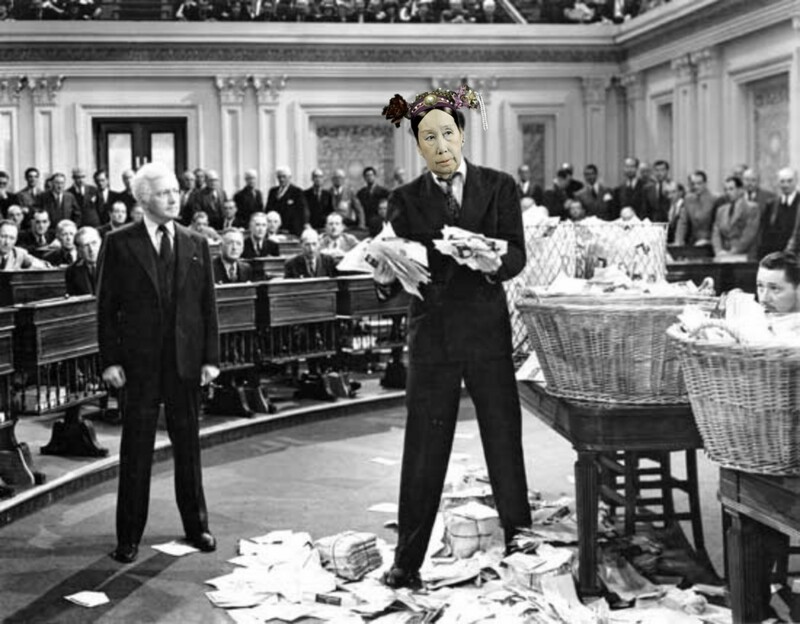 Trump declared a national emergency to secure additional funding for the wall on the southern border, potentially setting him up for a showdown with Congress." 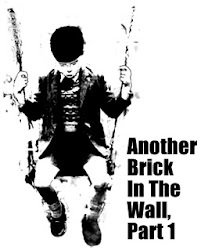 If DJIA received well US President Donald Trump move to by-pass Congress to get the money needed to "build the wall! ", then it is giving the old gerontocrasy leader, Mahathir ideas. 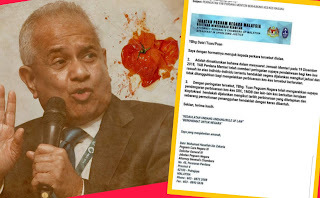 The Istanbul trip by IGP, Tan Sri Fuzi Harun was exposed by Sarawak Report to be an office holiday trip, but it was a working visit arranged by National Totalisator Board (NTB) on matters regarding online illegal gambling. As soon as the story broke out, unqualified Accountant and failed Economist Lim Guan Eng sprang into defensive mode. 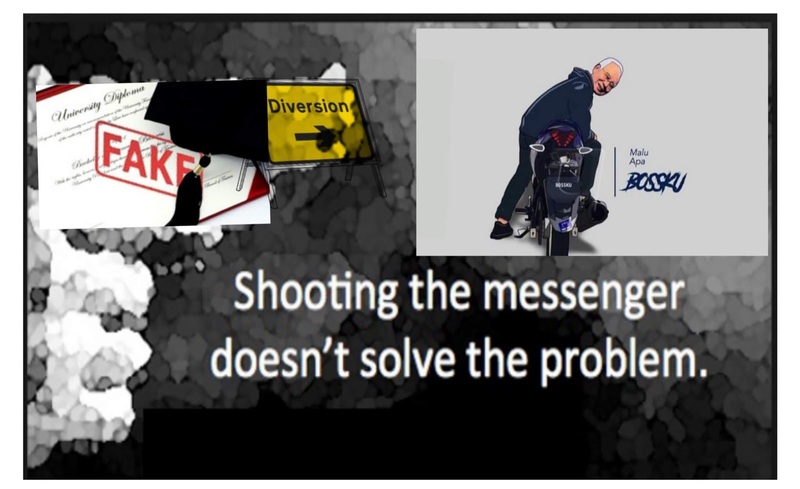 Whether he is telling the truth or usually lying, he told MMO that Treasury did not pay for it and claimed Ananda Krishnan's number forecasting Da Ma Cai operation paid the trip. What he is saying is Treasury refused to pay for the trip and he requested NTB to arrange Da Ma Cai to sponsor. Sabahkini2 has similar view. As one owner of a gambling license said, a Minister's request is as good as an order and they will have to secede. 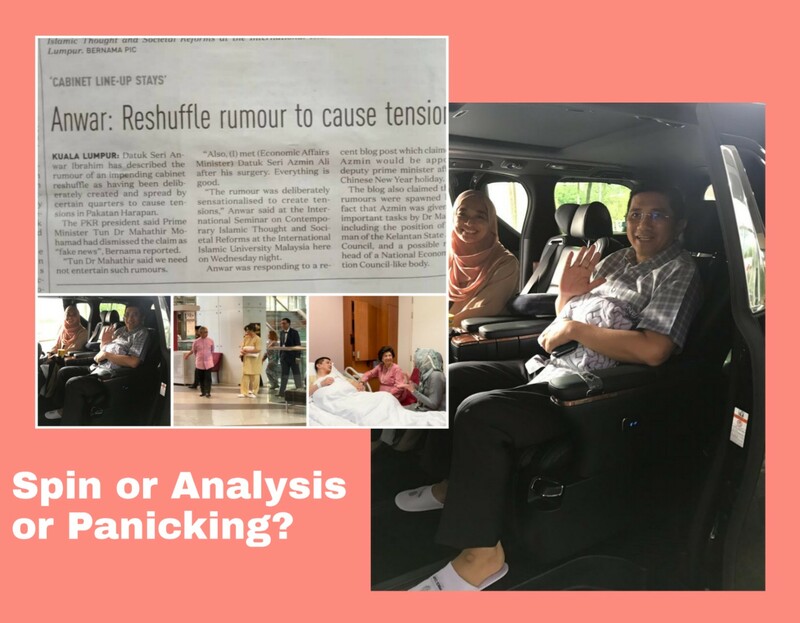 Dato Dr Asyraff Wajidi was angered by Guan Eng's insensitivity. However, there is political implication behind the facade of a typical Guan Eng's lack of familiarity with proper administrative practise. 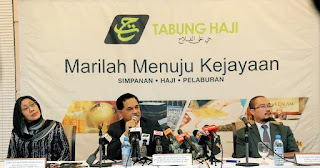 The day new management of Tabung Haji (TH) made police reports against previous management puzzled many corporate watcher and market players. Usually before such actions, there would be internal enquiries, right to reply, and various due process within the organisation to ascertain anything tantamount to a crime. The new management of TH came in and vavoom came swiftly the series of police reports. 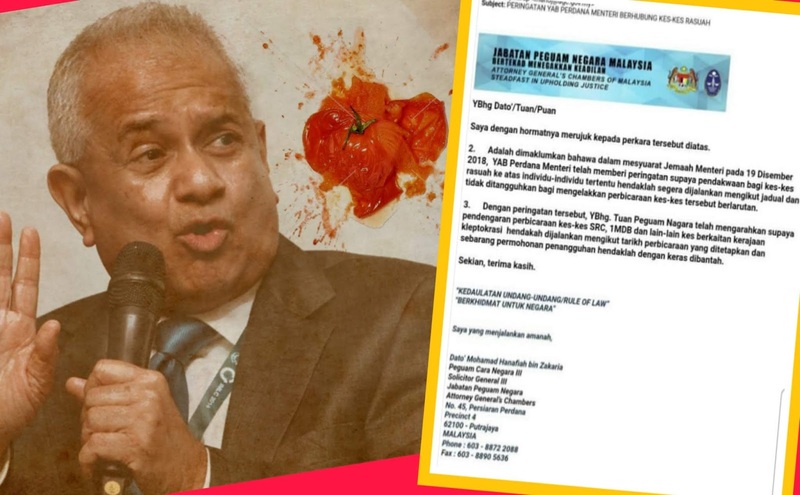 Tommy Thomas allegedly said, "Me, Guan Eng and Kit Siang; We are all one"
That quote came from a "legal practitioner". 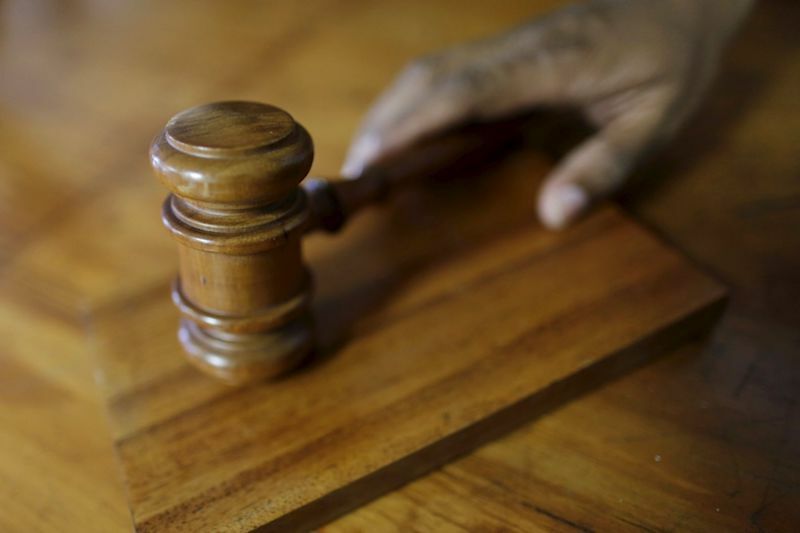 Tommy Thomas said those words to few other "legal practitioners". 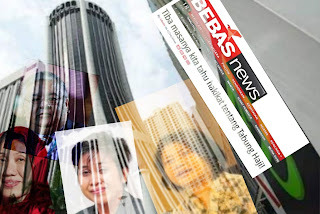 On Thursday, January 31st, BERSIH called for a press conference. They claimed Cameron Highland by-election has the highest number of electoral offenses commited compared to other by-elections after GE14 and BN committed more offenses than DAP. Critics would accused BERSIH as bias and leaning towards DAP or PH. 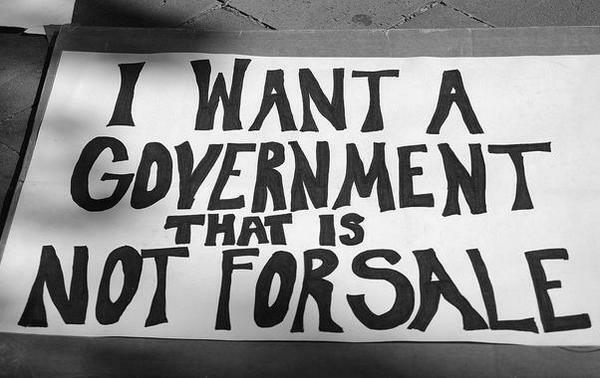 With the 5 series of BERSIH demonstration since 2009, that goes without saying. 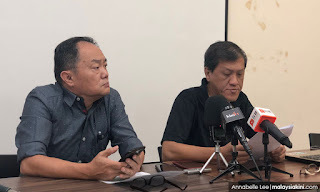 But BERSIH usually substantiate their claims or allegations and not by downplaying the number of offenses committed by the DAP and PH campaigners. The suspicion is BERSIH felt threatened by the stabbing of Maria China's son thus lie for DAP or risk their own safety. It reinforces the political conspiracy theory that Maria's son was stabbed because she supported the native candidate.